Parking is available right outside the restaurant on the top level and in front of the ground floor of the building. 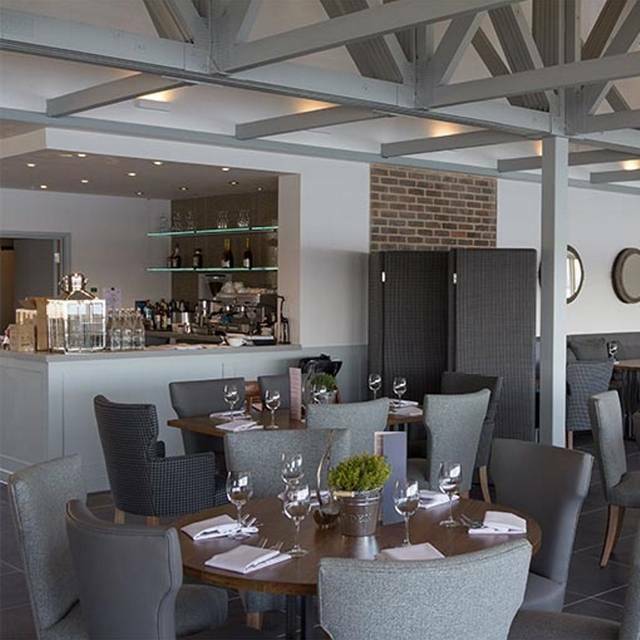 With a delicious weekly changing ‘Market Menu’, and stunning panoramic views, eating at The Boat House Bistro provides not just a tempting taste experience but a feast for the senses. The Head Chef and his team use the finest local ingredients, including freshly caught trout from the reservoir to produce mouth-watering dishes every Saturday and Sunday. 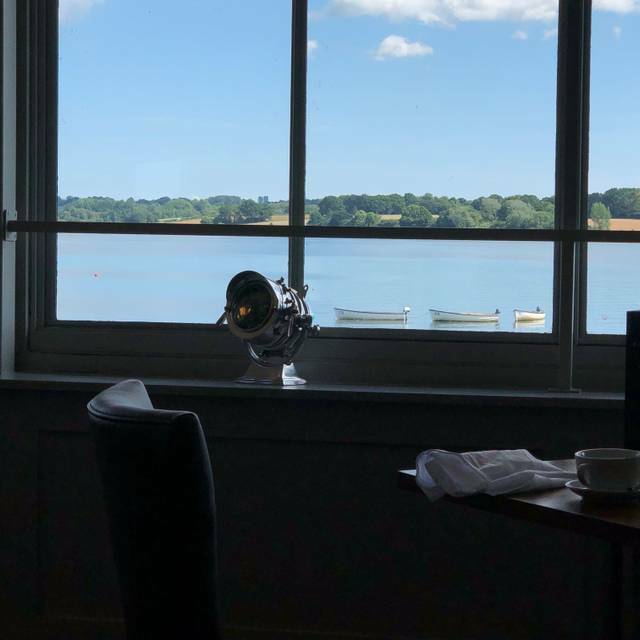 Offering nautical theming and unparalleled views, the beauty of Bewl Water reservoir and nature reserve take centre stage whilst you relax and enjoy a glass wine on The Terrace or a delicious meal in The Boat House. Whilst we were disappointed it turned out to be fish Friday (not clear when booking) this was put right & we enjoyed our lunch. The views are stunning, great service & the food was great. Would definitely go again but recommend anyone going looks closely at the menu's available for each day before doing so. Once again the Sunday lunch was really excellent and could not be faulted. Service was quick and friendly and the red cabbage served with the beef so good we asked for another portion which arrived straight away. Beautiful location although you do feel as if you are eating in a venue rather than a bistro. We were served by young people who didn’t have a great passion about their job and were quite uninspired about the food. The fish and chips was adequate, nothing particularly special. We were never asked if we were ok, or if we’d like any desert or more drinks. We are local and probably wouldn’t rave about it to our neighbourhood. It was lovely but I specifically asked before I went about disabled access for my father in a wheelchair and was told it was wheelchair accessible, but when we arrived there was a slight step to go up and we couldn’t get the wheelchair up so he had to get out his chair while we lifted it over. I wasn’t very happy. Dear BernardS, Thank you for leaving The Boat House Bistro a review. I am so pleased that you loved your lunch for your mums 91st Birthday! 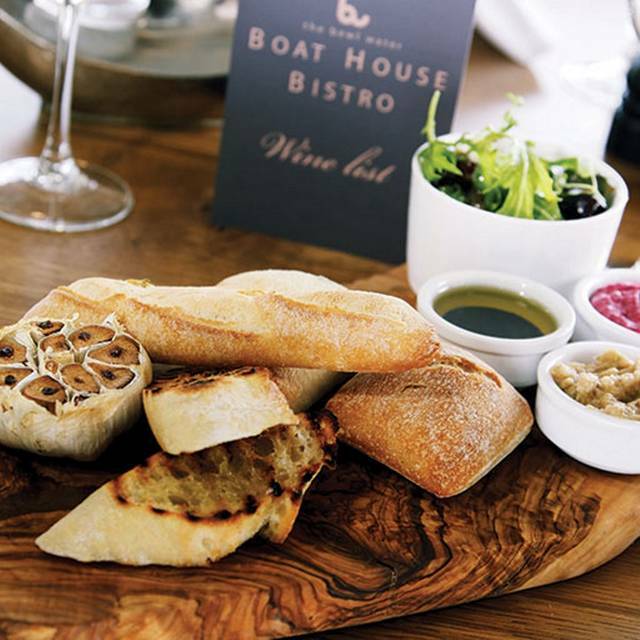 We look forward to welcoming you back very soon, Kindest Regards, The Boat House Bistro. Fantastic food from a menu with a variety of excellent choices at a value for money price. great ambiance with suburb views of the reservoir. Dear ladies2lunch, Thank you for leaving The Boat House Bistro a review. I am so pleased that you loved the varied menu and of course the breath-taking view! We look forward to welcoming you back soon. Kindest Regards, The Boat House Bistro. Everything excellent. One very small negative. Slow service but didn’t mind as view and food outstanding. Dear LindaA, Thank you for leaving The Boat House Bistro a review. We always value feedback. I will share your comments with the rest of the team. Kindest Regards, The Boat House Bistro. We went there for the Fish and Chip lunch with friends, never been before at this day or time. It was fantastic and we will be most definitely will be returning soon. A great location, good food ,service could of been a bit more attentive at times having said that will definitely be coming again. Second visit to The Boat House Bistro and just as good as the first. Beautiful views over Bewl Water with an outdoor terrace for Spring/Summer. Really pleasant decor, very attentive staff, tables sensibly space apart so lots of room. Excellent Sunday roast each time. Well recommend it. Dear SophieD, Thank you for taking the time to leave The Boat House Bistro a review. I am so pleased to learn that you had a great experience at Bewl Water again and loved the delicious roast dinner. We hope to welcome you back for your third visit very soon. Kind Regards, The Boat House Bistro. I would recommend it for the view and the style of building. However two of us had roast beef it was tough, we could not cut it even with a steak knife which we had to ask for. Dear Gordie, Thank you for taking the time to leave us a review. I am delighted to learn that you loved the view and the building style. I am so sorry that the roast beef was not up to your expectations and I can ensure you that I have passed this on to the management team at The Boat House Bistro. We look forward to welcoming you back. Kind Regards, The Boat House Bistro. Super lunch, great food and wonderful setting. Chef added some extra snacks at no extra cost - shame there was no draught ale/lager. Dear Anonymous, Thank you for taking the time to leave The Boat House Bistro a review. I am so pleased to learn you loved the stunning setting and the delicious food. I will share your kind comments with the rest of the team. Kindest Regards, The Boat House Bistro. Lovely, welcoming atmosphere and super views. Food excellent and very generous helpings on the kids menu, which was proper food, not the usual processed rubbish. 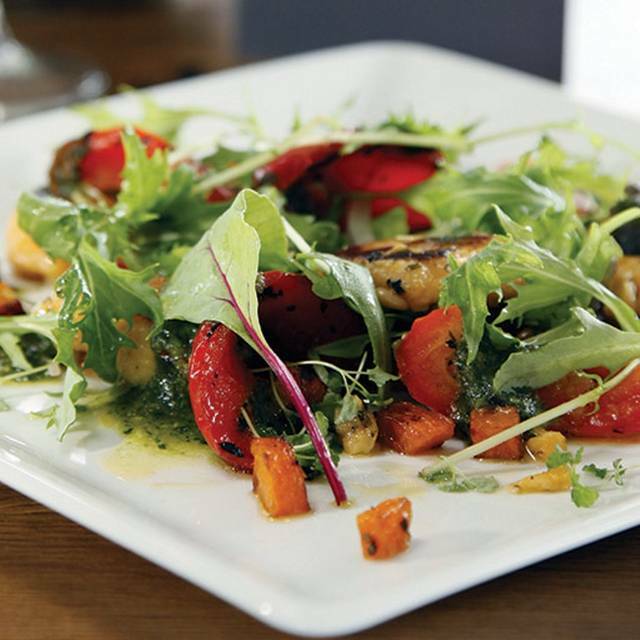 Dear CatherineS, Thank you for taking the time to leave The Boat House Bistro a review. I am delighted to learn that you loved the delicious food and the stunning views. I will ensure that your kind comments are shared with the fantastic team at The Boat House Bistro. On behalf of everyone at The Boat House Bistro we look forward to welcoming you back very soon. Kindest Regards, The Boat House Bistro. We love coming back to this restaurant - this is my favourite restaurant for Sunday lunches because they can go on for the whole afternoon! Leisurly pre-lunch drinks on the balcony over looking Bewl and enjoying the sunshine and the fresh air. The staff are warm and friendly (and are all local to Lamberhurst and so are knowledgable of the area) and there is plenty of them to look after you, and they are very polite and welcoming. The menu is quite small but beautifully chosen so that for a Sunday lunch you have two different roasts, fish, chicken or vegetarian. I would prefer a small menu which is perfectly cooked and prepared rather than an extensive menu from the freezer. Served with the winter vegetables which are nice and crunchy! That's why I return time and time again with my friends - it feels like an extension of my own dining room. Third time at the boathouse bistro, and the food never disappoints but the service could be a little bit better. The food is exquisite and exceptional. Will definitely go again sometime soon. Wonderful, location. The restaurant was a bit chilly on a cold February day but ok. Staff were absolutely lovely. We both had good starters and the Sunday roast was also good with fresh veg, grest roasties and a massive home made Yorkshire. Yhe food was good but not outstanding. 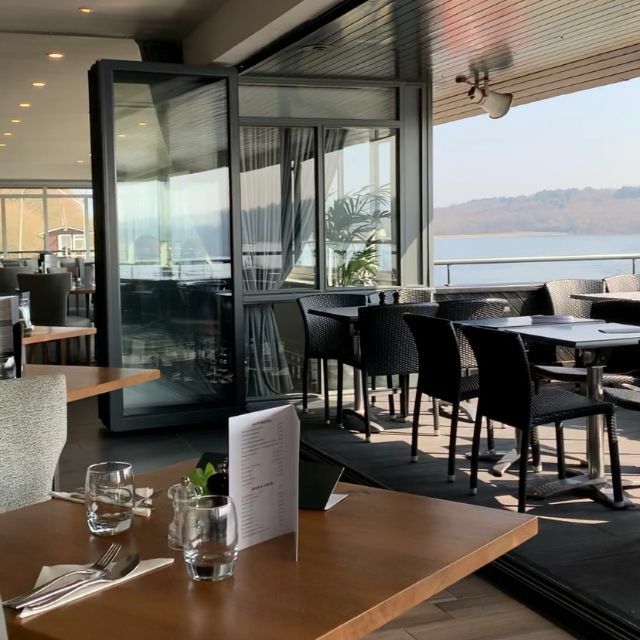 However, I would recommend The Boat house Bistro as a fab place to sit, eat, relax and watch the light changing as the day slides by over the beautiful lake and hills. Really worth a visit! Altogether my guests and I had a really lovely lunch. The reception and service was efficient and genuinly friendly, the food and wine very good. The noise level is a bit high but actually that is largely compensated by the superb view. I give it four stars, which is really good as I only give five stars to Michelin 3 star quality. Had a very nice Sunday roast which was excellent value, well presented and good quality. Service was a little hit and miss and they suffered from having a big table in which overloaded the kitchen making our service slow. One area that could be improved is the drinks offering. No good alcohol free beers, especially alcohol free ales, and no English wines despite being able to see a vineyard from the window - a real missed opportunity. We were recommended to the bistro by my daughter. Wonderful setting. We will definitely come back in the summer. Food very tasty and I presume homemade by the wonderful burger. We will come back for the Sunday lunch. A group of 5 is us walked. We were in walking gear and a bit muddy. Lovely atmosphere/decor. Excellent food. Would visit again. We came on new year's day. It was a special menu for this day. Really good choice of dishes and the price was great. Food was lovely and the service was great! Fabulous location, really helpful staff and very tasty food. It’s our second visit, excellent food and service nothing is too much trouble. Lovely calming atmosphere and an outstanding view. Have booked a third visit!! We went for Sunday lunch, everyone was friendly and the food was really good. We will be going again. Went on a Friday for a small group lunch. Very nicely designed and fitted out, great view over the reservoir, bathroom tasteful and clean, the bistro has a casual but upmarket feel to it. The menu was a choice of fish and chips or festive turkey, we all chose the fish and chips. The food came in good time but considering this is usually the only dish on the menu on a Friday I felt it should have been of much better quality. The fish used was pollock which is a shame as it had it's usual pitfalls of being rather tasteless and quite grey in colour - fine in some fish fingers but not great in restaurant quality fish and chips. The batter was pretty good, crisp and not greasy. The chips were quite chunky and a bit overdone so were quite dry and both the peas and the chips were sort of slung on the plate with not a lot of care. I am probably being a bit picky over a plate of fish and chips, but the quality and presentation of the food did not match up to the very lovely surroundings. The staff were friendly enough but not as attentive as they could have been and it took an eternity to get the bill to the point where we were tempted to just leave! Overall it was an 'OK lunch' - I would probably go again simply because of the location (have been twice before some time ago but not on a Friday and the food was good if not memorable) and it has the potential to be a 'go to' place but sadly not until the standard of food and service are improved. The food was amazing, my only complaint was that the bar and waiting staff were very inexperienced with the service being very slow. On this occassion it was not a problem as we were catching up with family so we weren't in a hurry. Saying that all the staff were very friendly, and after all everyone has to learn on the job to become experienced. Sits on Bewl Water. Went for Friday's fish and chip lunch in Nov. Low season. Booking required. Nice venue with views across water. Easy parking. 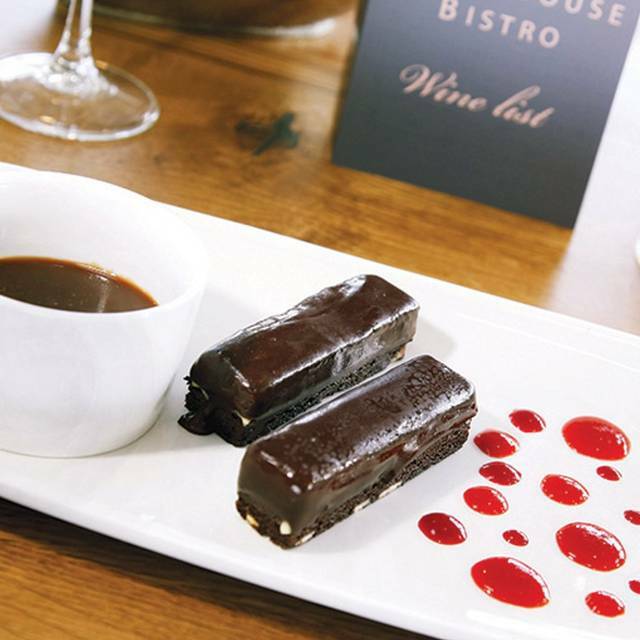 Bistro is spacious, modern, clean with good service from attentive staff. Good locally sourced fish and chips. Fixed price and set menu for Friday lunch. Very well done. Will visit again for F&Cs and for full menu at weekends. Can't wait to sit on balcony in the summer. This Bistro is in a delightful location. There was just 3 of us and having read the reviews, we were looking forward to Sunday lunch...Such a disappointment! ! !..Most of the food is bought in and reheated. ..A squid startery was inedible, overcooked, rubbery. ..Roast top side of beef, again overcooked, tough, without a hint of pink! !..Yorkshire pudding, so hard, due to reheating..Vegetables were ok, still overcooked. ..Roast potatoes were good. .Could have been cooked on premises. ..Didn't bother with dessert. .
Lovely Sunday lunch. Will definitely be coming back! Great Friday fish and chips - no choice but good value and a fantastic view of Bewl Water. Nice pudding too (again no choice). Good but short menu for Saturday and Sunday lunch. Very good food, friendly staff and good value for money. Definitely be back. Will recommend. Enjoyable birthday lunch - good selection of food on set menu. Overlooking Bewl water so lovely views - will go again. First visit and we were very impressed with the quality of the food. Ideal location for families to enjoy Sunday lunch and beautiful views. Beautiful setting, really gorgeous views. They had a set menu of only one item which we where not told about until 30 minutes after arriving when we where informed would we like our fish n chips now!! Service want great, as it was very quiet i would have thought the waiting staff would have plenty of time to offer you drinks etc, that wasn't the case.